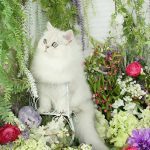 Purchasing Privileges - Doll Face Persian Kittens - 660.292.2222Pre-Loved Persian Kittens For Sale – (660) 292-2222 – (660)- 292-1126 – Shipping Available!! We are not a pet store, rescue, shelter, or humane society and do not grant purchase privileges to just anyone with the financial means. We reserve the right to refuse sale as we are very selective in regards to the type of homes we grant purchasing privileges to. These kittens are our babies and we take the utmost responsibility in placing each and every one of them in the best possible homes. Rude inquiries will not get a response from us, nor ones with without a name. We offer a vast amount of information as to who we are and the type of cattery we run in turn; we require an online kitten adoption application to be filled out and tell us a little about your family and the type of home you have to offer. Once you have filled out an application, we will be in touch within 24 hours. If you have any questions regarding our kittens or cattery, please feel free to give us a call. We would be happy to assist you in finding a new furry family member! For potential Doll Face Persian Kitten customers, please read and review the terms and conditions below before committing to adding an adorable Persian kitten to your heart and home. Doll Face Persian Kitten’s reserves the right to refuse or cancel a sale. Purchasing privileges are NOT granted to just anyone with the financial means to purchase a kitten. A completed kitten application is required prior to being approved to purchase a kitten. Hateful, rude, demanding, or disrespectful parties need not apply. False representation of any kind from an applicant will result in an automatic application rejection. No matter what part of the purchasing process the purchaser is currently in. If Doll Face Persian Kittens decides at any time to cancel a kitten sale, 100% of all monies paid will be refunded to the buyer within 30 days from the time of cancellation. Business will not be conducted via text message, this is the preferred method for online scammers. Cell phone pictures or “quick pics” are not offered under any circumstances. 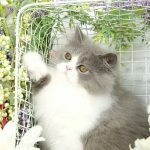 Professional pictures are kept current on the website to the best of Doll Face Persian Kitten’s ability. All kittens are sold as “pets only” and cannot be used for showing or breeding purposes. Doll Face Persian Kittens does not offer stud services. All kittens are bred, born, and raised on our property, kittens are not purchased and resold by third parties. Prices are subject to change without notice. The only way to lock in the current price is by placing a security deposit or by paying in full. Security deposits will NOT be refunded or transferred to another kitten, this charge goes towards lost sales time and advertising on the Internet. Security deposits will come off the price of the kitten if you choose to follow through with your purchase. Security deposits hold a kitten for a period of 48 hours only. After that, a kitten is expected to be paid in full and the contract signed and return to their office. Shipping includes the airfare, pet carrier, nursery blanket, updated shot records, signed health certificate, and a rabies tag, certificate, and vaccination (if old enough). Kittens must be 12 weeks of age or otherwise approved by the breeder before leaving the nursery. Kittens cannot be held on verbal promises. If you are looking for “cheaper kittens”, try your local humane society or rescue league.